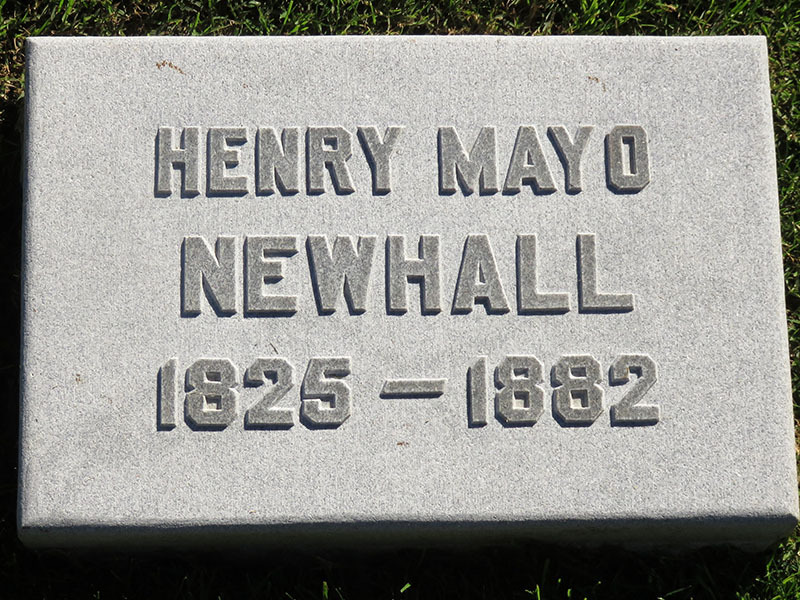 SCVHistory.com | People | About Henry Mayo Newhall. ©2000 Henry Mayo Newhall Foundation. Henry Mayo Newhall was a California Gold Rush pioneer who was born in Saugus, Massachusetts, in 1825. Newhall was working as an auctioneer on the East Coast when gold was discovered in California in 1849. He immediately packed his belongings, boarded a ship, and headed toward California through Panama. Unfortunately, he became sick during his short overland trip across Panama. The illness delayed his arrival in California by six months. When the 25-year-old Newhall finally reached San Francisco in July of 1850, he headed directly for the Sierra foothills with the intent of making his fortune in gold. Within weeks, Newhall realized that all the promising mining sites had already been claimed, and that he was too late to strike it rich in the gold fields. Dejectedly, he returned to San Francisco to begin his eastward trip home. While waiting for his ship, he watched as other ships arrived in port, unloaded their goods, and sold their valuable cargoes right on the docks. Newhall recognized an opportunity. He opened his trunk and used his auctioneering skills to sell off most of his personal belongings, some at a hefty profit. The last item he auctioned off was his ticket home. The rest, as they say, is history. Newhall stayed in San Francisco and built an auctioneering and import/export business. Within two years, the firm of H.M. Newhall & Company was thriving. As Newhall prospered, another up-and-coming enterprise captured his imagination  railroads. He began investing in fledgling new business ventures dedicated to building railroads to connect San Francisco with other cities in the West. 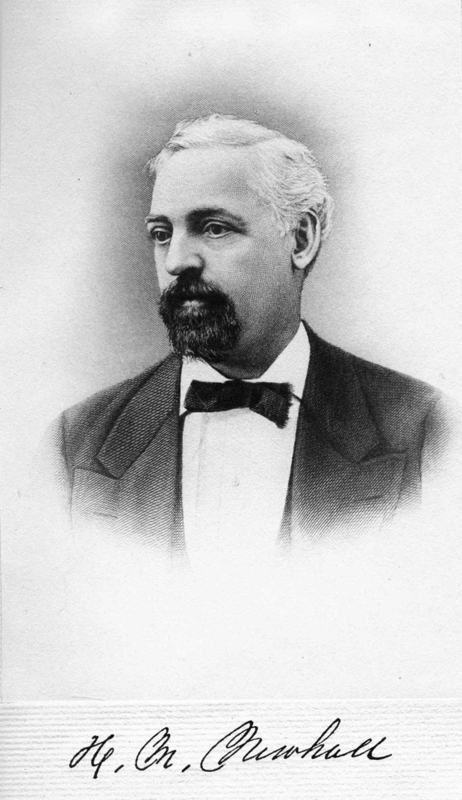 By his fortieth birthday, Newhall had become president of the San Francisco-San Jose Railroad Company, and was completing California's first railroad track system, a line between San Francisco and San Jose to the south. His company commissioned the building of the locomotive "California," and he joined other civic leaders and dignitaries on its first run to San Jose. According to newspaper accounts published at the time, the "California" achieved the record speed of 67 miles per hour during that trip. Newhall and his partners eventually sold their railroad interests to the new Southern Pacific Railroad Company, and he became a director of that company. Real estate and ranching became Newhall's next great enterprise. He invested the profits of his auction and railroad businesses in San Francisco real estate and in the purchase of Spanish land-grant ranchos in central and southern California. Between 1872 and 1875, Newhall acquired 143,000 acres from Monterey County to Los Angeles County. His most important acquisition was Rancho San Francisco, a parcel of more than 40,000 acres covering much of the Santa Clarita Valley in northern Los Angeles county. He granted a right-of-way to the Southern Pacific Company, and the first tracks connecting the San Francisco area with Los Angeles were laid across his ranch. He named the station Saugus, after his birthplace in Massachusetts. And the railroad named the town site he had granted, Newhall. After Newhall's death in 1882, his five sons incorporated his ranch properties into the Newhall Land & Farming Company. The company is active today in California real estate, and continues to acquire and develop properties in California and other western states. Its major development is the planned community of Valencia in the Santa Clarita Valley. Newhall Land is currently finalizing the planning of a new community, to be called "Newhall Ranch," on 19 square miles of land that borders Valencia to the north and west. (More information on Newhall-related development is available from The Newhall Land & Farming Company).